People who suffered complications from Bard 3DMax hernia mesh products are seeking lawyers for filing lawsuits against the manufacturers, claiming the devices were defectively designed and caused them serious injuries. There may be large cash claims from settlements in these Bard 3DMax mesh lawsuits. National Injury Help is accepting cases from those injured by Bard 3DMax Mesh. If you or someone you love was injured as a result of these products, you may be entitled to financial compensation. To see if your case qualifies for a Hernia Mesh Lawsuit, use the form on the right-hand side of your screen or call 1-800-214-1010 and speak with a member of the Hood National legal team. 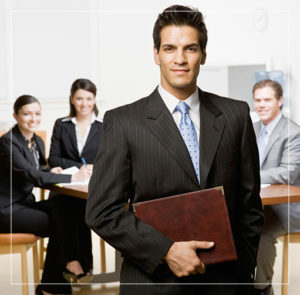 We can answer your questions and determine if you qualify for a hernia mesh lawsuit with a free case evaluation. Three recent questions about the Bard 3DMax mesh lawsuits. How much can you get from a Bard 3DMax mesh lawsuit? How much compensation would I get from a Bard mesh lawsuit? How much are the settlements or payouts in the Bard mesh lawsuits? Some of the defective medical device lawsuits have had millions of dollars in a compensation fund, and then that is divided up between all who have joined the lawsuit. Example: $50,000,000 in a settlement fund that would serve 1,000 victims would be $50,000 per person. This is only an example and does not represent what may happen for Bard mesh. Bard’s 3DMAX Mesh has been associated with many complications of problematic hernia mesh brands. Nearly 60 adverse event reports have been submitted to the FDA relating to complications suffered by patients implanted with a 3DMAX. One report submitted in February 2016 by the patient himself detailed complications he suffered years after being implanted with two 3DMAX meshes. The patient initially underwent hernia repair surgery in 2003. More than a decade later, he had his gallbladder removed. Shortly after that surgery, the patient said he began to vomit blood and was taking to the emergency room. Surgeons then discovered that the 3DMAX meshes had become entangled in his small intestine and adhered to the tissue walls. They removed about 12 inches of his intestines along with the mesh. Another report from March 2016 said a patient implanted with a 3DMAX Mesh suffered a hematoma (abnormal collection of blood outside a blood vessel) following his surgery and complained of significant abdominal pain. Several months after his surgery, the patient told doctors he had shooting pains that radiated down his leg, back and groin. The patient had surgeons take out the 3DMAX mesh after refusing a regimen of painkillers. The report indicates that only 90% to 95% of the mesh was actually removed, however, because a portion of it was surrounded by so much scar tissue. 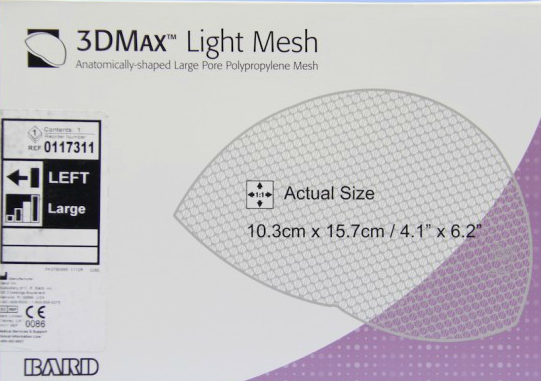 Bard’s 3DMAX Mesh has not been recalled and continues to be sold and used today in hernia repair surgeries. Bard hernia mesh lawsuit lawyer claims & settlements page updated on April 10, 2019.